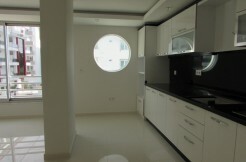 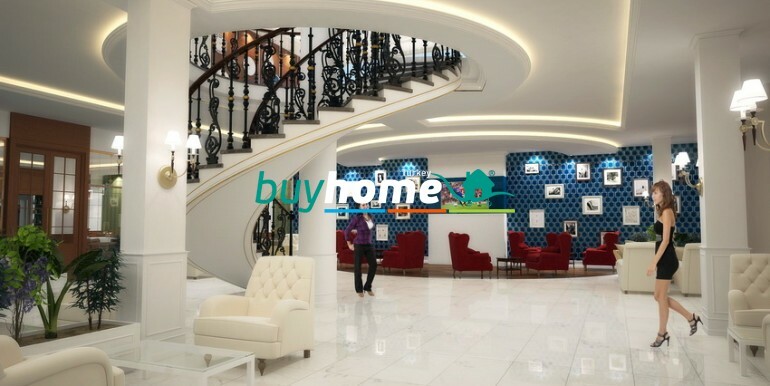 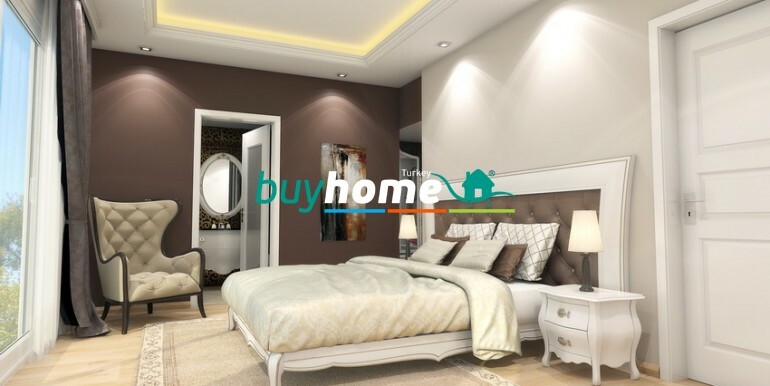 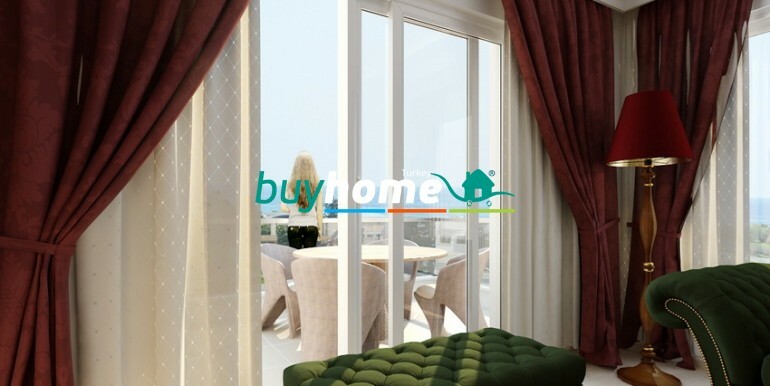 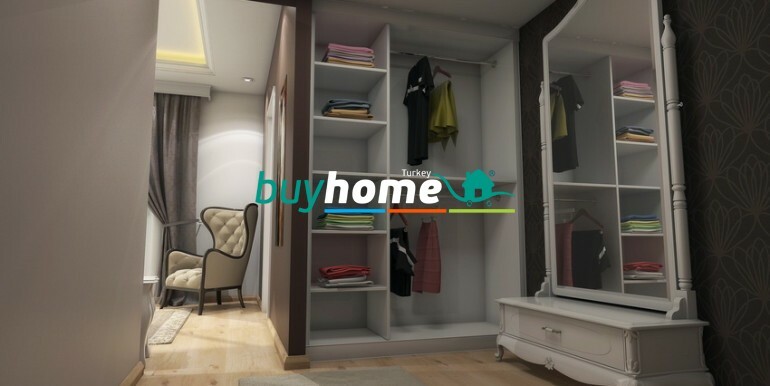 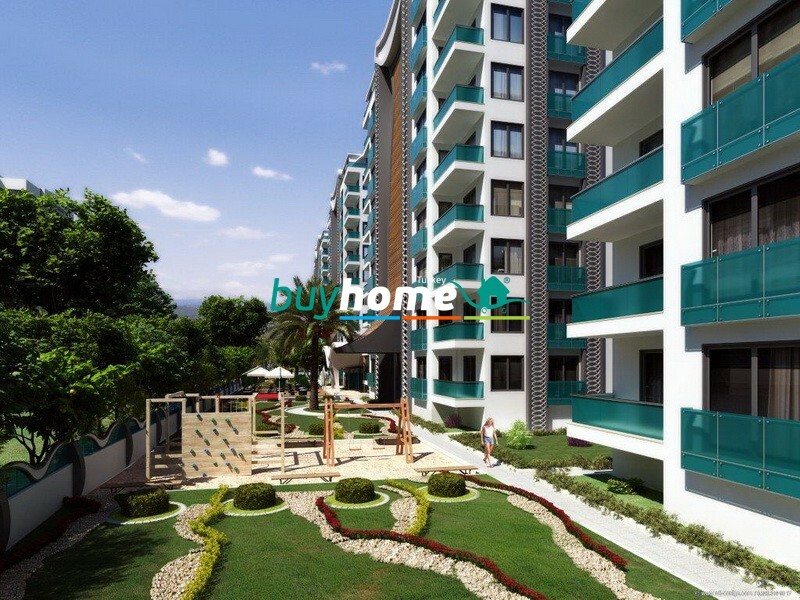 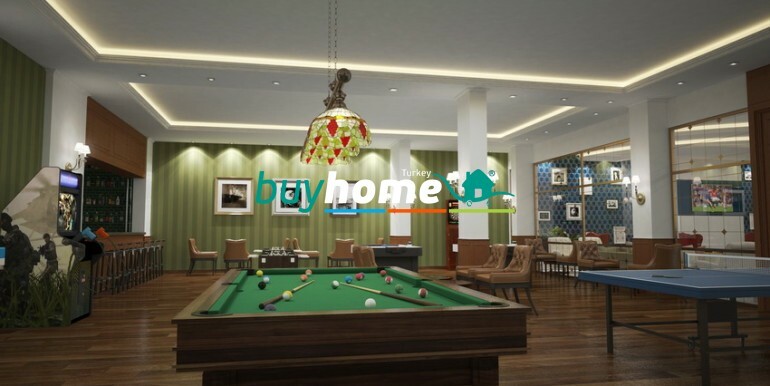 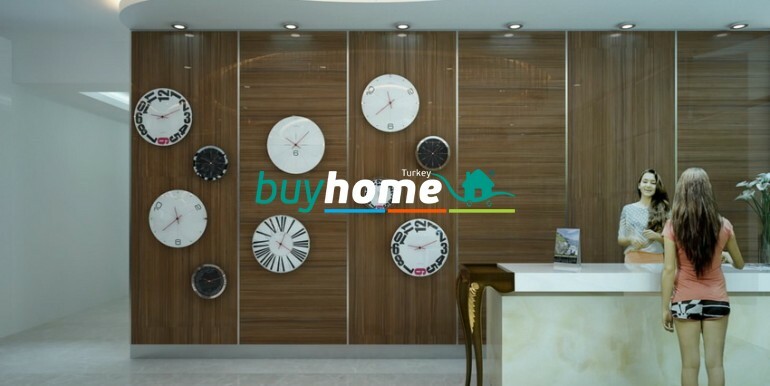 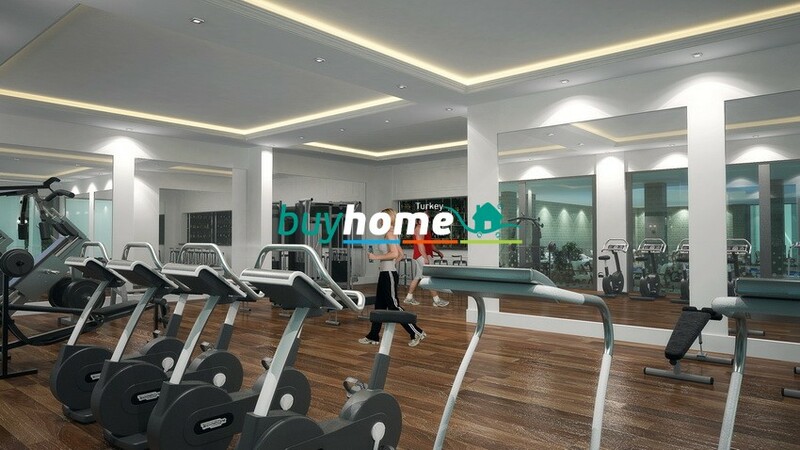 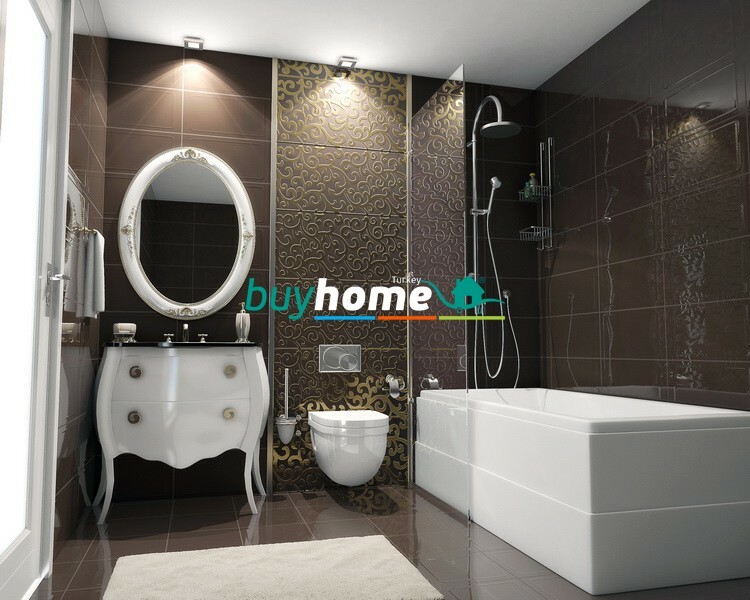 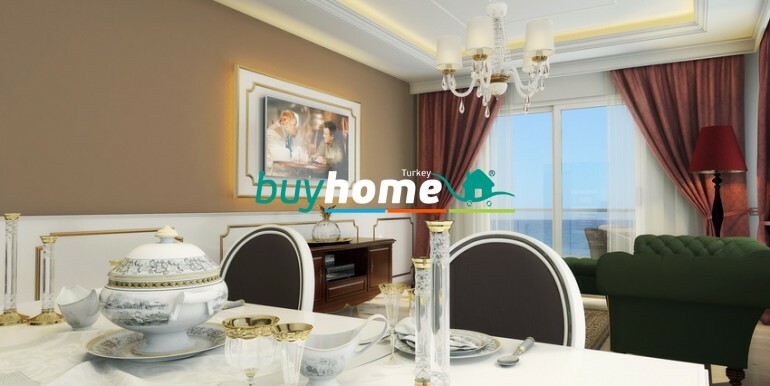 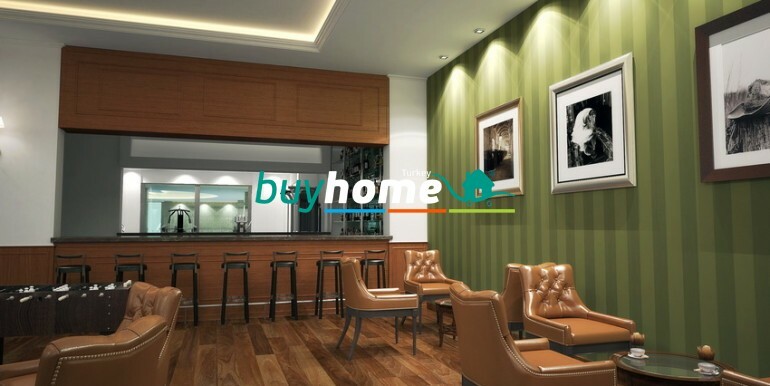 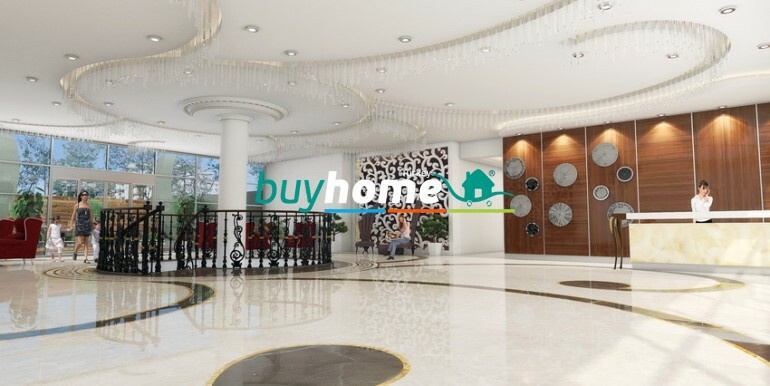 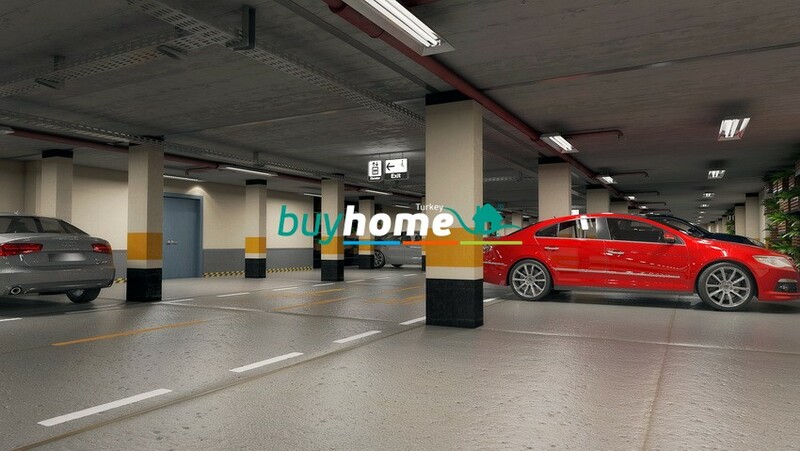 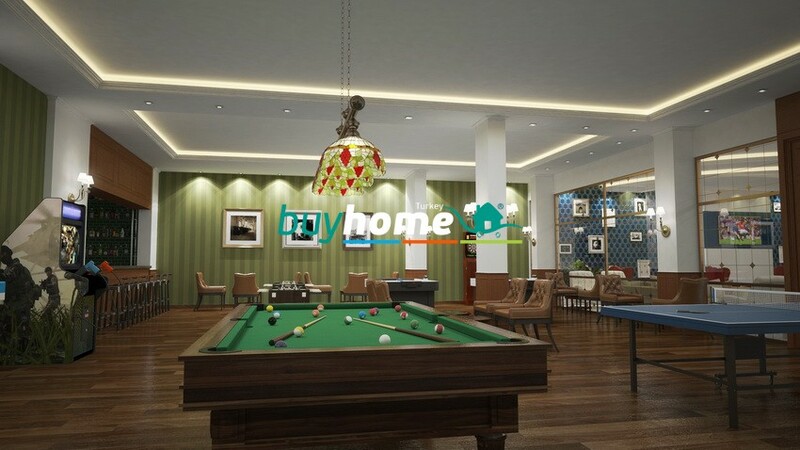 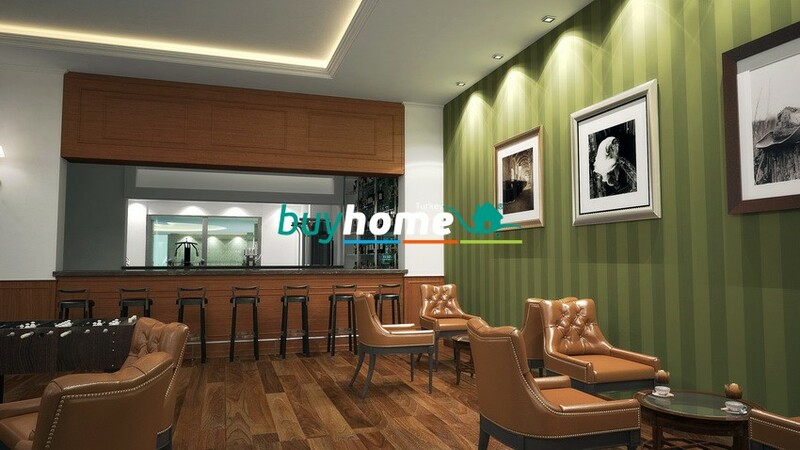 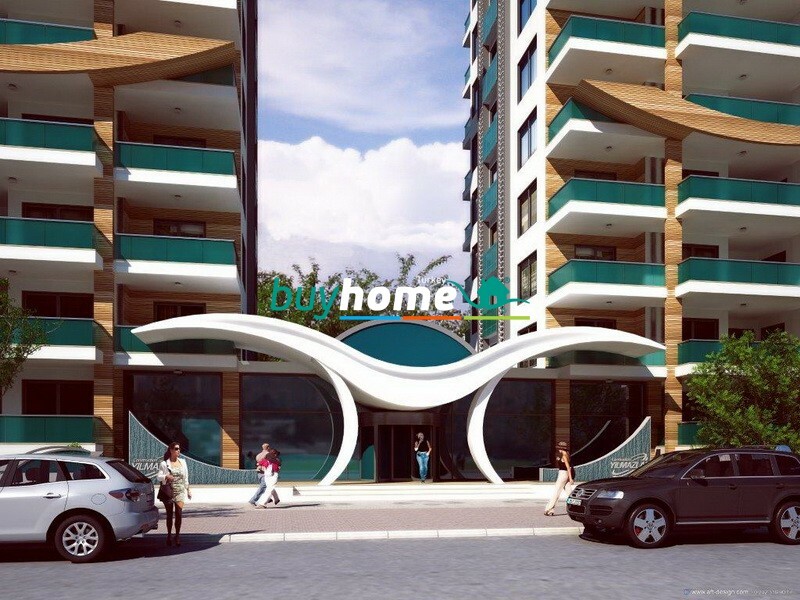 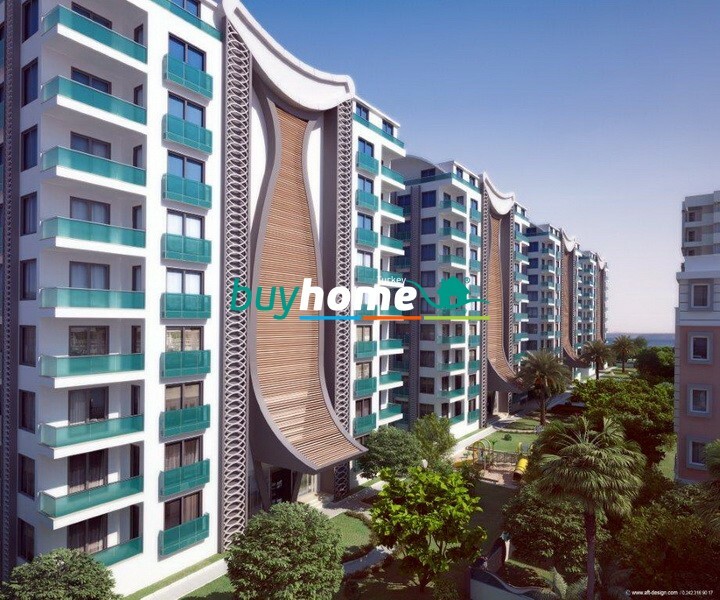 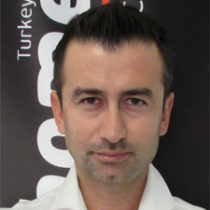 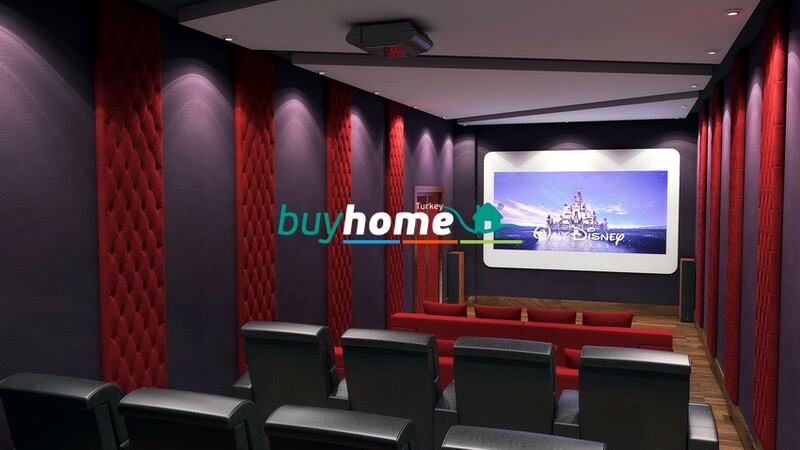 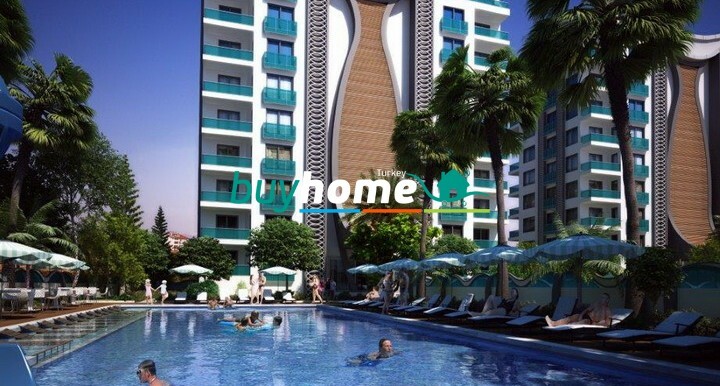 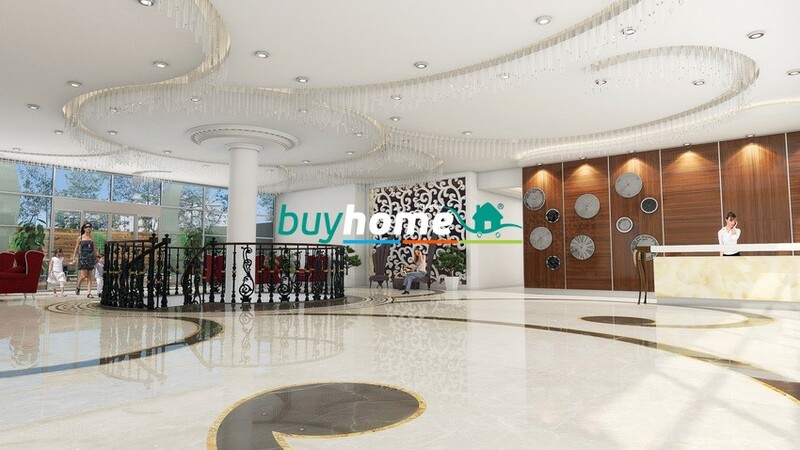 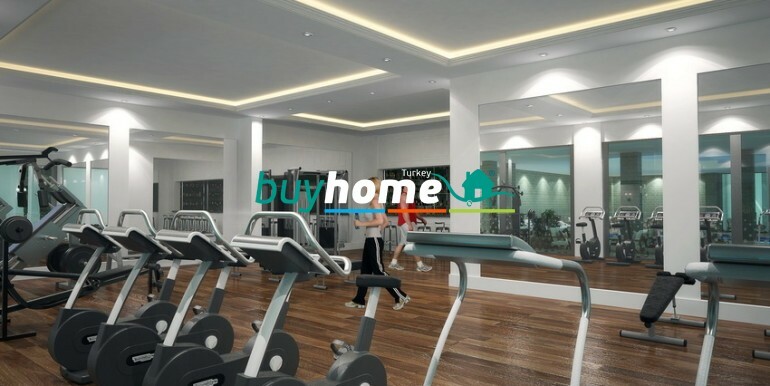 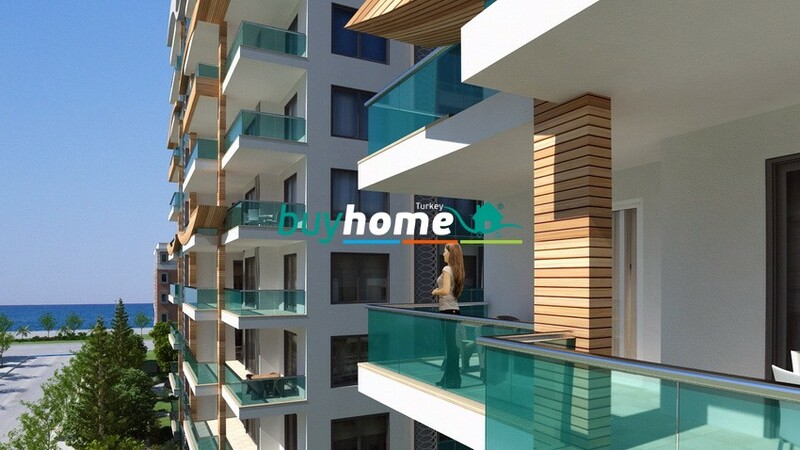 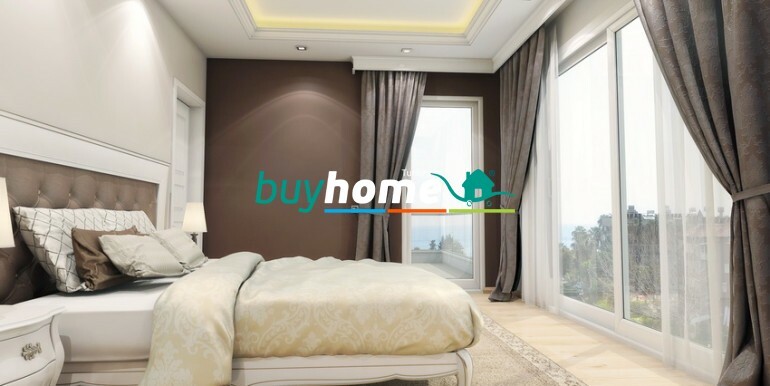 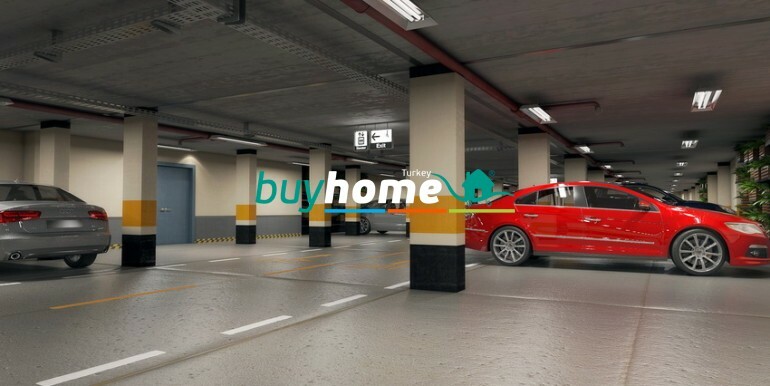 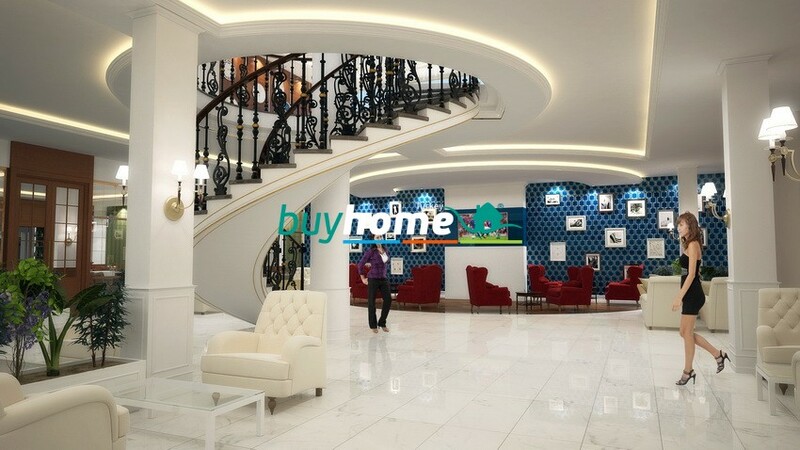 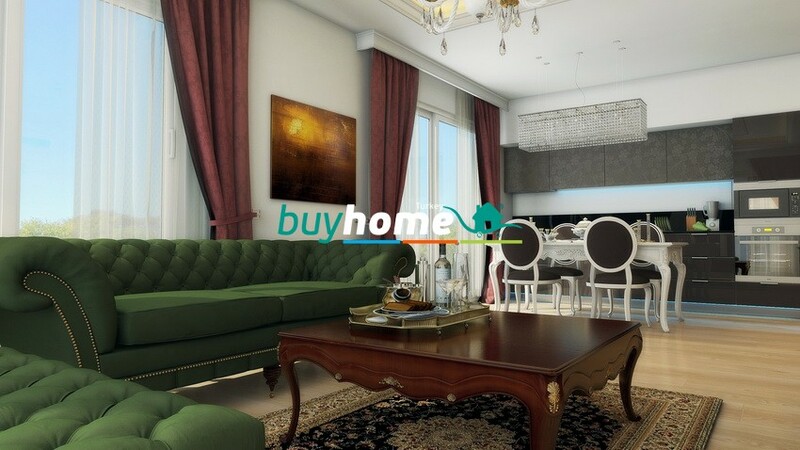 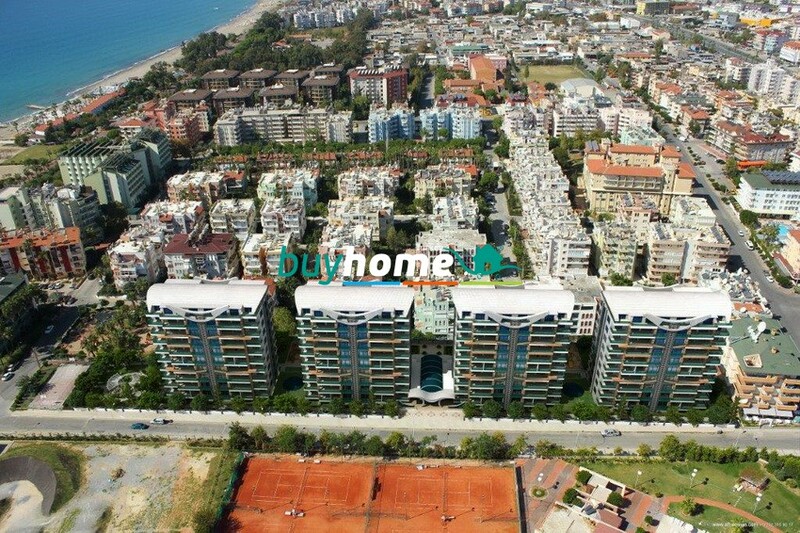 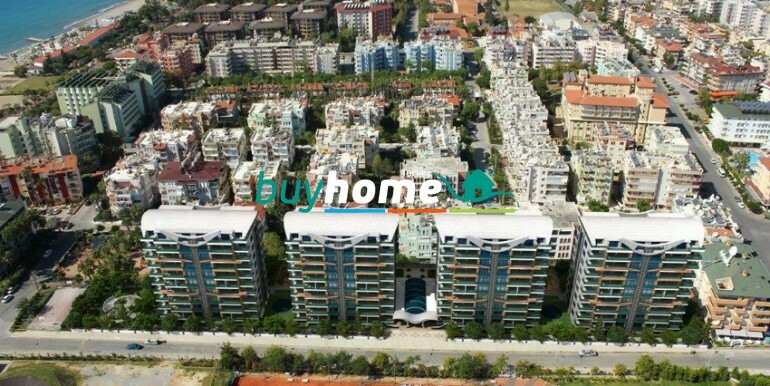 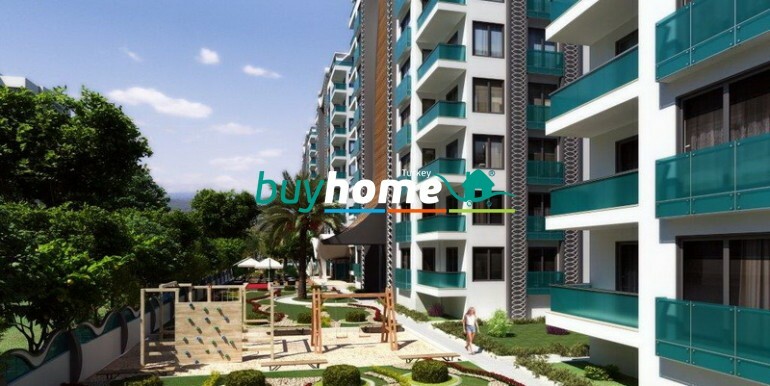 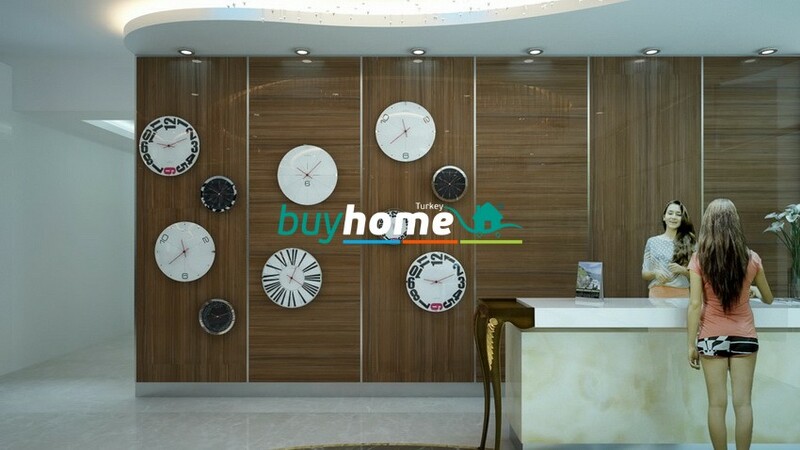 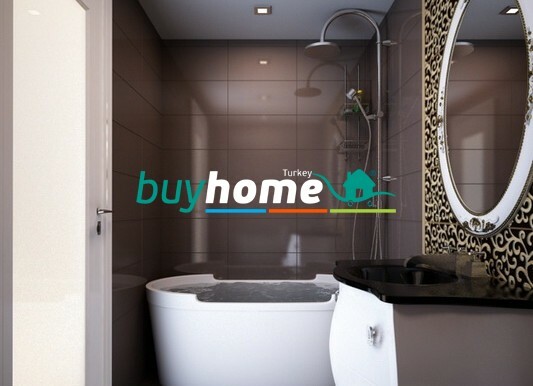 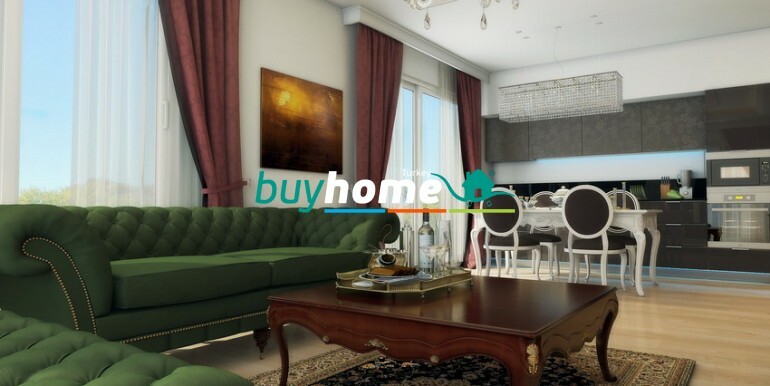 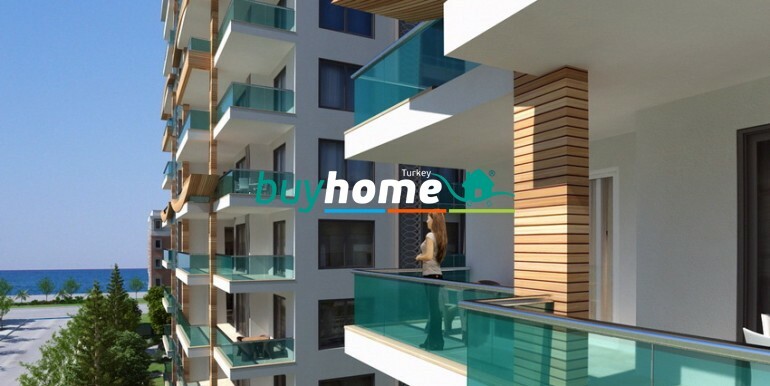 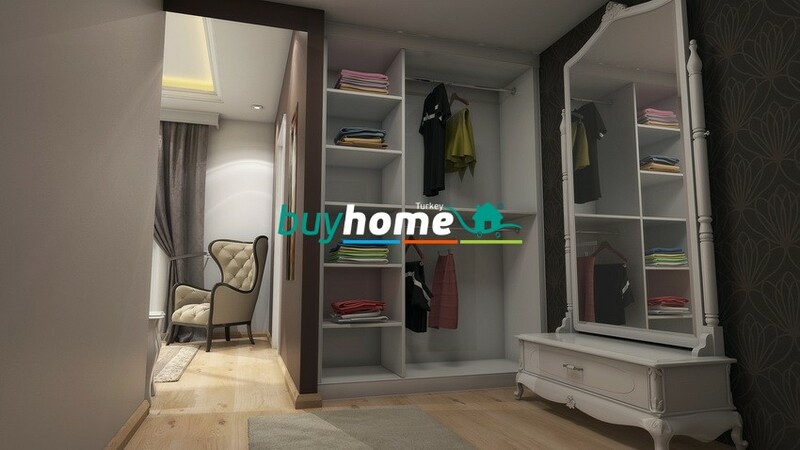 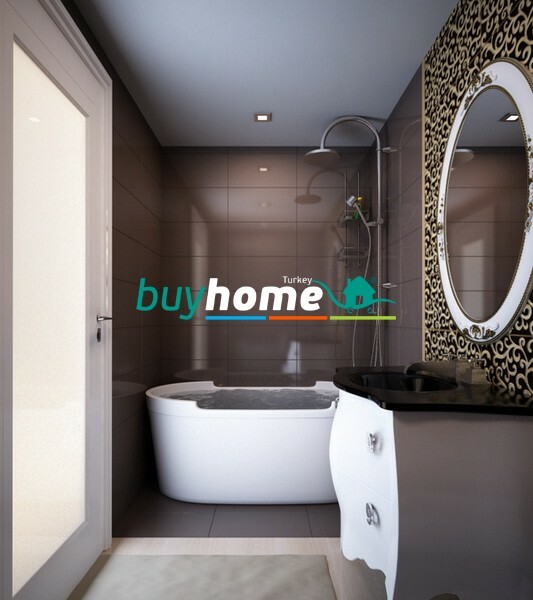 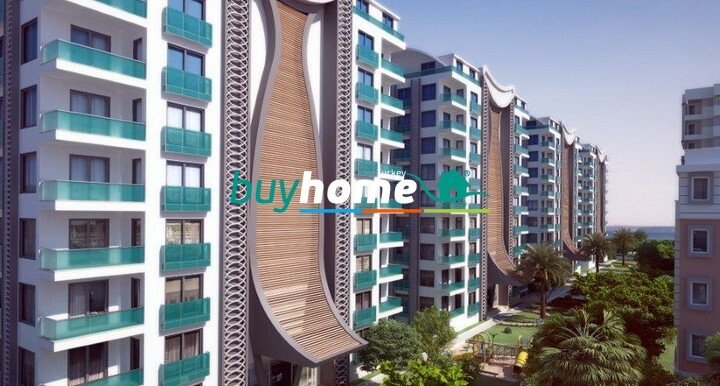 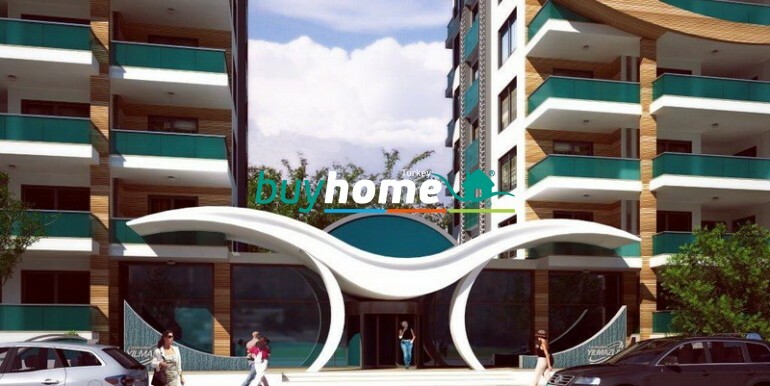 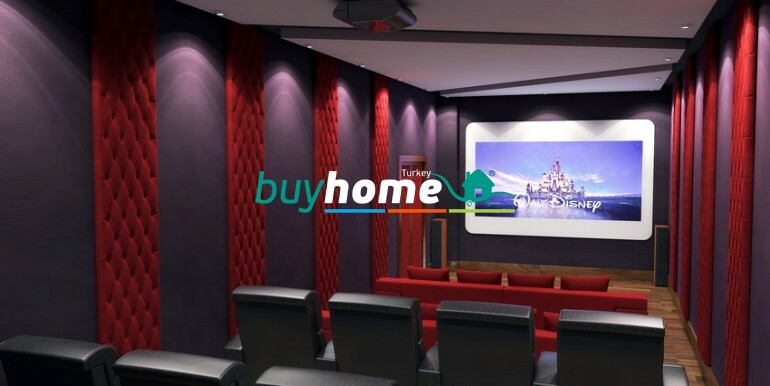 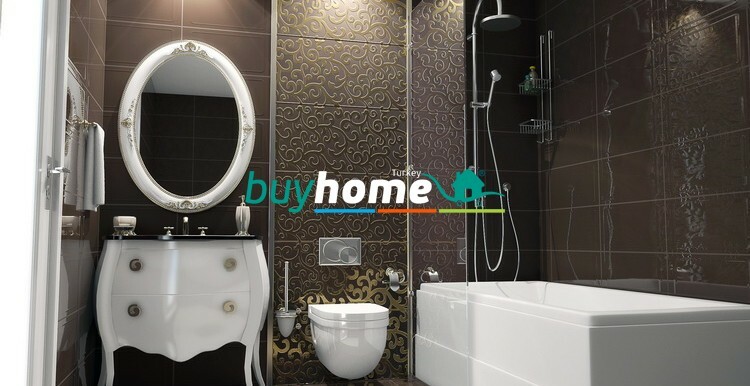 BH BEST HOME 23 | Your real estate agent in Turkey.Rent Apartment in Alanya. 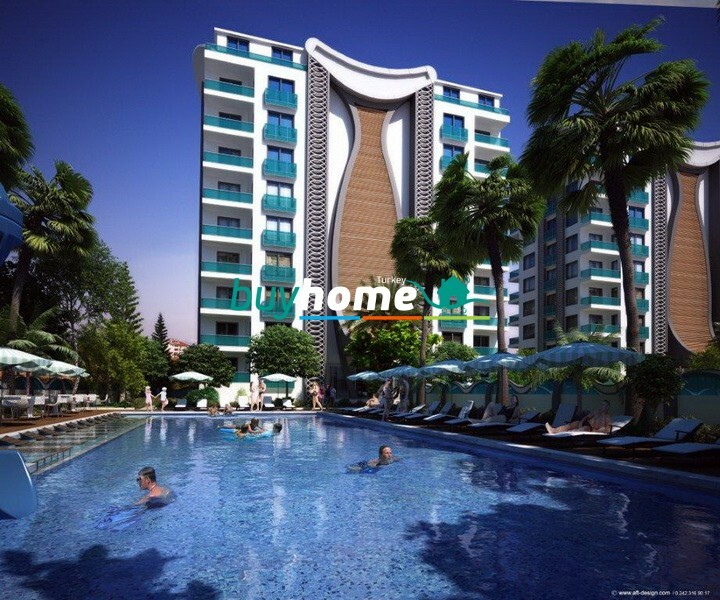 Facilities of the project: outdoor swimming pool with water slide, Jacuzzi, children’s pool, children’s playground, barbecue, indoor swimming pool, Turkish bath, steam room, sauna, fitness suite, billiards, table tennis, children’s playroom, vitamin bar, cinema. 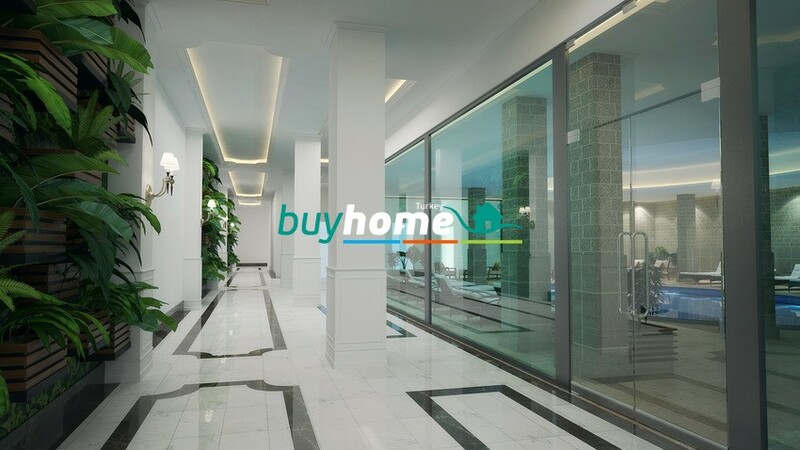 Features of the units: steel entrance door, elevator call button, intercom, cove lighting in all rooms, spotlights in living room, kitchen and bathroom cupboards, white goods (refrigerator, dishwasher, built-in glass ceramic cooktop, oven, extractor hood, washing machine), air conditioning units in each room, floor heating in living room and all bathrooms, glass showers cabins, electrical water heater, PVC windows, mosquito nets, ceramic floor tiles.